Researchers of Bar-Ilan University, in cooperation with Genesis Seeds Ltd., have developed a hybrid of basil, the culinary herb, which is completely resistant to Downy Mildew, a devastating disease caused by a fungus-like pathogen. The new patented product, contains no pesticides and will provide much-needed relief to farmers and consumers worldwide. DM was first discovered in basil in Switzerland in 2003 and soon after spread throughout the world via fresh material transport, infected seeds and even drifting winds. Interestingly, aside from one case in Uganda in 1933, DM was never before seen in basil. In Israel, it appeared in 2011 with unprecedented symptoms that were found to be caused by Peronospora belbahrii. Until now no varieties of basil have been found to be genetically resistant to DM. DM poses a threat to the basil industry, mainly because of the fact that the length of time it is stored creates optimal conditions for its onset. In many cases the disease goes unnoticed because it remains “dormant” during harvest and emerges only later. Today, farmers use mainly pesticides to cope with the disease. But even so, within less than a year of the onset in Israel, the patogen developed resistanceto the majority of pesticides, making them ineffective at all. Regulatory obstacles in introducing new products into the market and restrictions on some pesticides which leave a harmful residue on the crop have exacerbated the problem. Israel is one of the major winter exporters of fresh herbs to Europe, Russia and the eastern United States. The Israeli fresh herb market is estimated to export nearly 70 million Euros per year, 50% of which is based on sweet basil. Most of the basil in Israel is grown in the country’s hottest regions — the Arava, Jordan Valley, Beit Shean Valley and the Negev. The severe intensity of the epidemic in Israel brought the Phytopathology Laboratory in the Mina and Everard Goodman Faculty of Life Sciences at Bar-Ilan University, headed by Israel Prize winner Prof. Yigal Cohen and Dr. Yariv Ben-Na’im, to investigate how the disease is transmitted. As many varieties as they screened, they were unable to detect any sweet basil line resistant to DM. However, various degrees of resistance were found in wild species of the genus Ocimum. These species differ from sweet basil in both appearance and aroma, and show interspecific crossing barrier due to genetic remoteness. Genesis Seeds, specialists for more 20 years in manufacturing, marketing and cultivating seeds including basil, joined the Bar-Ilan researchers in financing and facilitating breed-oriented research aimed at transmitting DM resistance from wild into sweet basil varieties. New funding by Genesis facilitated concentrated efforts towards a new protocol to obtain interspecific hybrids. They produced a few hybrid plants that are both DM resistant and fertile. The breakthrough enabled the researchers to obtain genetic material that constitutes the foundation for a broad breeding program. Genesis Seeds and the Bar-Ilan team, represented by the Bar-Ilan Research and BIRAD Research & Development Company Ltd, the commercializing company of the University, are currently commercializing new sweet basil cultivars marketed under the name “Prospera” (a play on words between the disease Peronospora and prosperity). 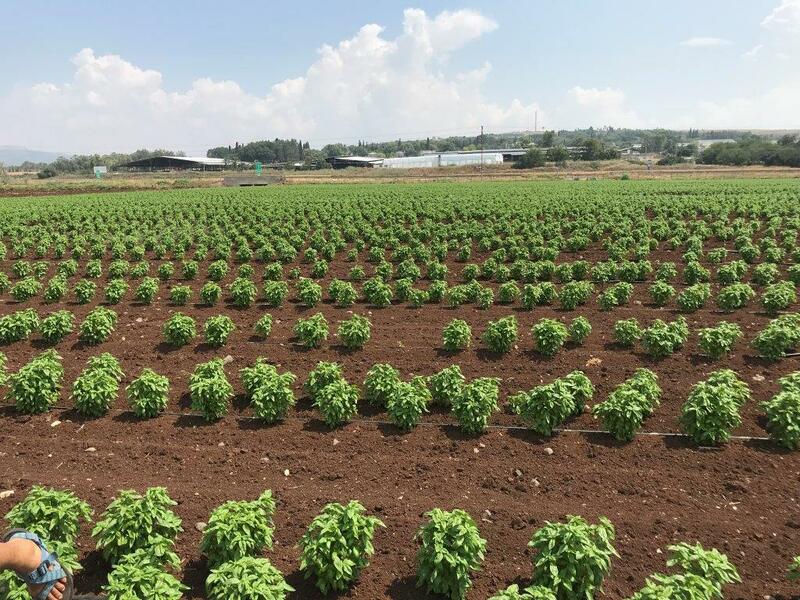 Prospera is currently being tested in Israel and around the world and holds promise for growers of basil and consumers worldwide. “BIRAD is proud to utilize the extensive knowledge and experience of Dr. Cohen, a world-renowned expert on phytopathology at Bar-Ilan University and recipient of the Israel Prize for Agricultural Research, in order to improve agriculture in Israel and around the world. His remarkable developments have helped remedy global problems that plague the world of agriculture, such as plant diseases caused by pests. We hope to perfect his and his team’s novel technique to develop resistance to other diseases as well,” said Dr. Frances Shalit, Vice President of Business Development for BIRAD.